Citizens, it’s cold. Nothing new for January in MN. This however is the kind of cold that shuts down schools for a couple days. No matter the cold, we press on; keep living. What’s a couple dangerously cold days? Nothing. Eat some stew, drink some Porters, and make something. Turn that cold in gold…or some wicked awesome orc hordes. Make art, make beer, go fishing. I live in Northern VA and I brewed yesterday. The hose didn’t work for the chiller so I used the snow to make a snow bath. Good times! I made a big strong ale that will be great by next winter. I’ll be wishing for a winter like this one when I finally get to crack a bottle. Cheers man and keep warm. Right on Bob…I need to fire up the burner. I have loads of malt and hops, plenty of yeast in the fridge. No excuses, gotta brew! 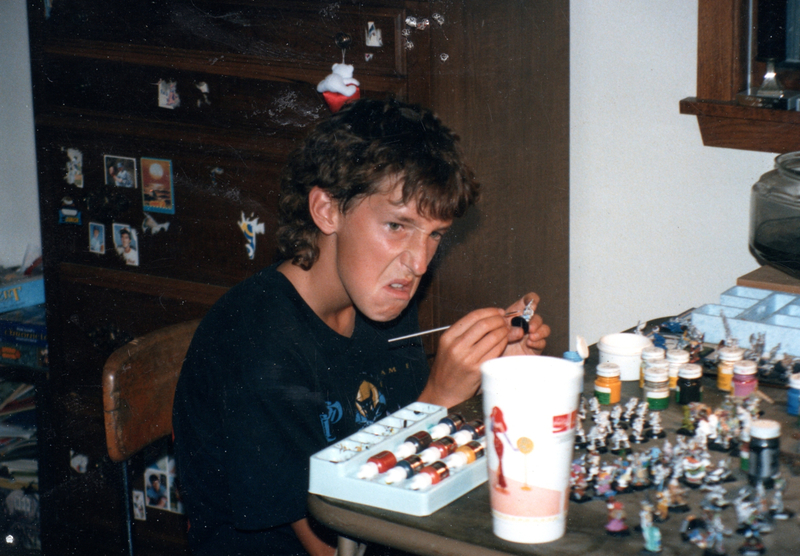 Man…I can’t tell you how many little WWII soldiers I have painted, model cars, planes…the foundation!